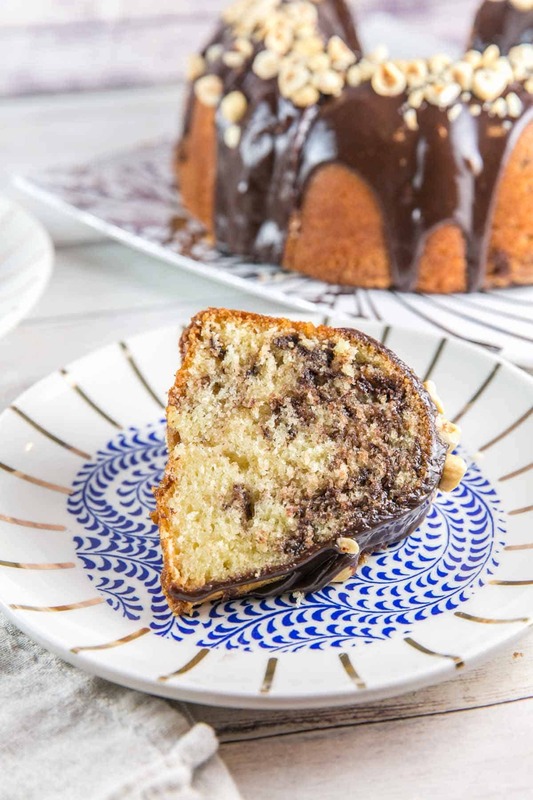 A rich, buttery vanilla cake with swirls of nutella and a decadent nutella glaze. 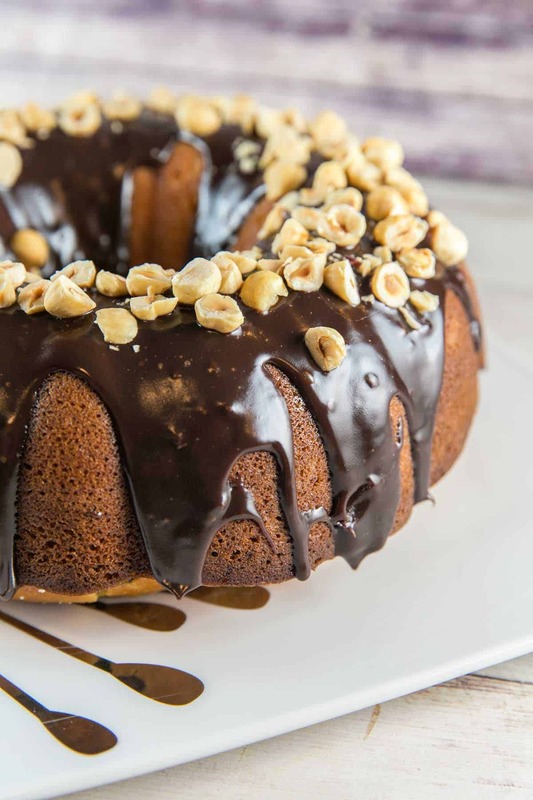 This nutella bundt cake is easy to make, but worthy of entertaining. Let this cake shine as the star of your next celebration! It’s a little hard to believe that I did an entire yearlong series on bundt cakes, and yet never shared a recipe with everyone’s favorite dessert condiment: nutella! Let’s fix this now, with a deliciously decadent nutella bundt cake. 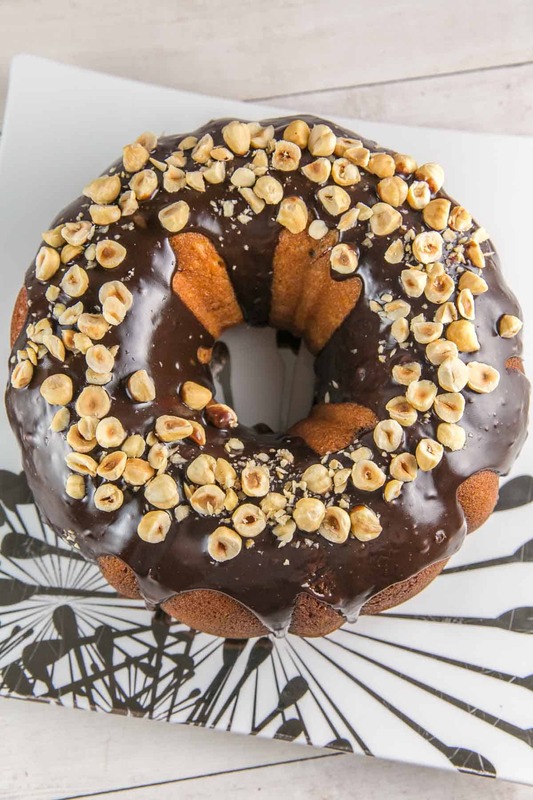 Nutella is really the perfect match for a bundt cake. It’s rich and creamy on its own — perfect for a cake that doesn’t use frosting. The nutella swirls into the batter, almost making it seem like the cake is mixed with frosting. As if that isn’t enough, we’ll then make a nutella glaze to pour right on top. No frosting? No problem. This nutella bundt cake is perfectly moist, decadent, and full of nutella flavor. And the best part? It’s so dang easy. It’s way easier than a layer cake, yet fancy enough for any sort of a celebration. Talk about a cake win! with a butter base, and the butter base was the hands-down winner. After pouring half of the batter into the bowl, spoon in the nutella. 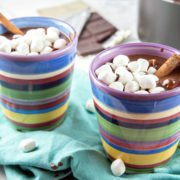 I like to warm it in the microwave for 10-15 seconds, so it pours and swirls a little easier. This isn’t fancy, just spoon it on top and take a knife to swirl it around a little. Then scoop the rest of the batter on top. Once the cake cools, you’ll cover the whole thing in a nutella glaze. Whisk together the heavy cream and nutella on the stovetop, then let it cool slightly. 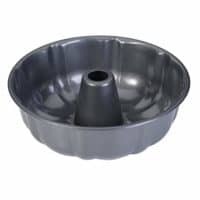 Pour over the cake, using a spatula to gently push it over the edge of the bundt cake. 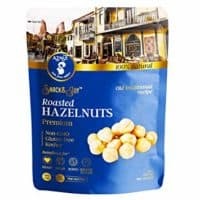 Top with some toasted hazelnuts for a little crunch. Perfection. And there’s no better way to start than this nutella bundt cake. 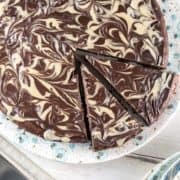 It’s an easy, one bowl cake, with a rich buttery flavor, swirls of nutella, and an out-of-this-world nutella glaze. I mean, really. How can you go wrong? Even if it sticks to the pan and crumbles and domes, it will still be delicious. And that’s what we really want most out of a cake, right? 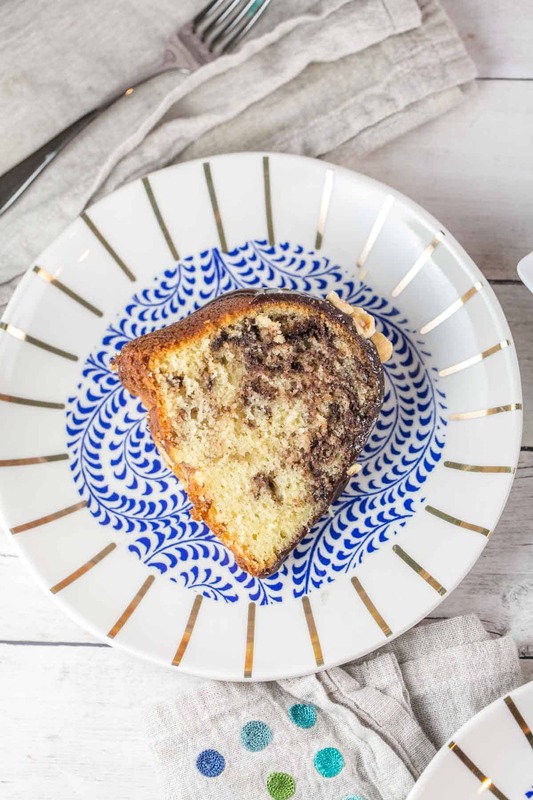 A rich, buttery vanilla cake with swirls of nutella and a decadent nutella glaze. This nutella bundt cake is easy to make, but worthy of a celebration. Generously grease and flour a 12 cup bundt pan. Spread half the cake batter in the pan and smooth the top with a spatula. Scoop the nutella on top of the batter, then swirl into the batter with a knife. Pour in the rest of the cake batter. Gently but firmly bang the pan on the counter a few times to release any air bubbles. Bake for 50-55 minutes, or until a toothpick inserted into the center of the cake comes out clean. Allow the cake to cool in the pan for 10 minutes, then invert onto a wire rack and cool completely. While the cake cools, make the glaze. Combine the heavy cream and nutella in a small saucepan over low heat. 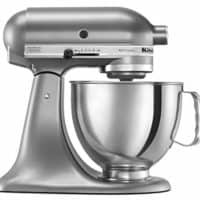 Whisk together until smooth and fully combined. Remove from the heat and cool for 10 minutes, until slightly thickened. Pour the glaze over the cooled cake and sprinkle with the toasted hazelnuts. You’re at it again with the bundt cakes Julie!!! I love the sound of this Nutella is everything!! I rarely take out my bundt pan and now I have an excellent reason to do so. Nutella is always a great excuse to make a cake and yours looks WOW. I don’t have a bundt pan! 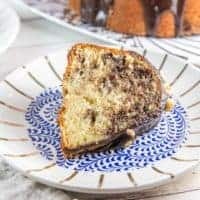 This recipe is making me add it to my list of things that I need because I need to try this nutella bundt cake! How delicious! I feel like all bundts or ok for breakfast, don’t you? Hahah I would devour this amazing looking cake. This reminds me of the cake my mom used to make for my dad growing up, but without the nutella swirl and without coming from a box! I’ll have to try it next time I visit him! 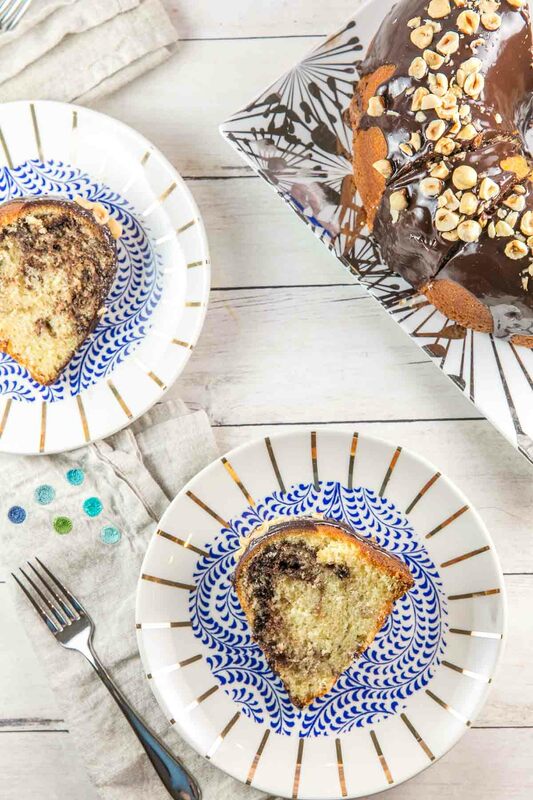 Who wouldn’t love a Nutella Bundt Cake?! I love this idea! I love bundt cakes! 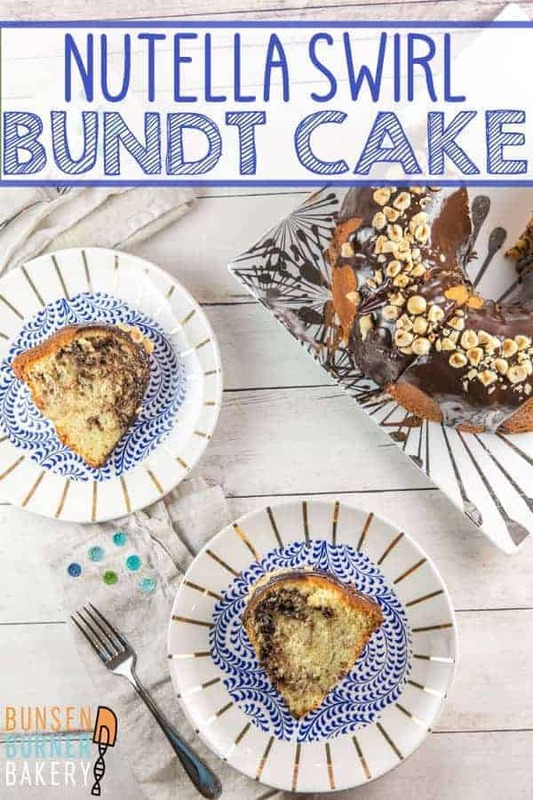 This sounds amazing with the Nutella swirled inside the cake and the glaze on top. Looks great for company and easy to make too! Mmm, what a yummy cake! I love all those hazelnuts sprinkled on top! This looks delicious. I love the two-tone effect, and making a sort of Nutella ganache for the frosting is really clever. Yesss that sounds so good!! I love the sweet-salty combination!